The Borders going-out-of-business sale has gotten better, so I snuck in there yesterday and grabbed another pile of books. I bought two more writing advice books: Writing the Breakout Novel by Donald Maas and The Forest for the Trees by Betsy Lerner. Writing the Breakout Novel was suggested to me by another woman at the Lesley MFA, so I was glad to see one copy left–and extra glad that it was put down on the table by another writer! 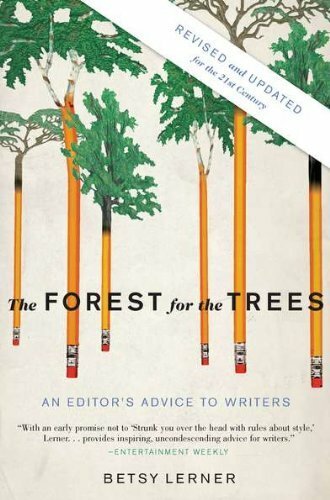 The Forest for the Trees is written by an editor, which is a perspective I don’t normally see in writing advice. Obviously I bought some manga as well. Town of Evening Calm, Country of Cherry Blossoms is another manga about Hiroshima, written by Fumiyo Kouno. Hopefully this won’t tear me apart as much as Barefoot Gen did. 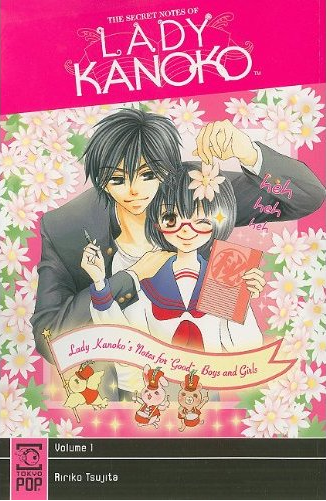 When waffling between a couple of shojo manga, my eyes landed on called The Secret Notes of Lady Kanoko . It’s about a girl that loves to sit back and observe her classmates, being completely uninterested in things like friendship, boys, and popularity. I’ve read through it already, and while there are a couple of things that disappoint me, I think it’s great. She watches the people that would’ve been the heroines in any other shojo manga, and her sharpness with other characters makes me love her even more. This was a great impulse buy. I also picked up a light novel, Book Girl and the Suicidal Mime . I received a copy of the second book in this series from Yen Press, but since I don’t like reading things out of order if I can help it, it’s been sitting unread on my shelf. Now that I have the first book, I look forward to reading this series; I’ve heard good things about it. The Borders sale is now at 30% for more most books, and this week they’re adding an extra 10% discount. Plus they still allow the discount for Borders Plus members, so this is a pretty good week to shop if you’ve been holding out on something. What books have you been eying at the sale?